You do not have to live with chronic whiplash pain. Contact us to start on the road to recovery. 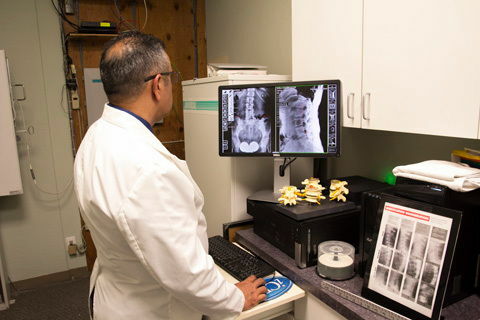 We provide San Jose with top-of-the-line spinal decompression care with advanced technology. Experience pain relief and the freedom to enjoy restored mobility with neuropathy care from Dr. Ebadat. 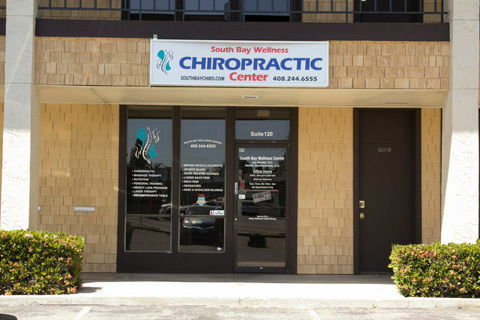 Find the most modern chiropractic care methods for pain relief and more at South Bay Wellness Center. Let us help help you. Fabiola is our Office Manager. She is the first face you’ll see when you come into the office. She loves the outdoors, spending time with family, and caring for our patients’ well-being. Cindy is our Patient Care Coordinator. She is responsible for patient check-in and always ensures that patients are happy with their visit. In her spare time, Cindy likes to stay in shape, ride horses, and spend time with family and friends. We look forward to serving you. 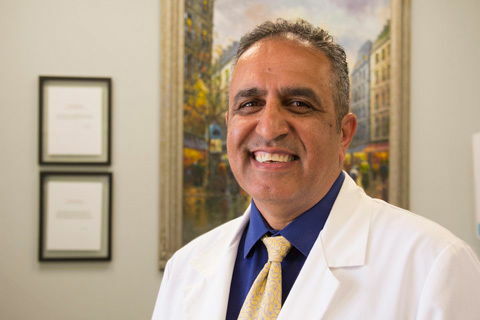 "I highly recommend Dr. Jay Ebadat! The first time I went to see him I could hardly walk due to a back injury I’d suffered that day. I chose his office because it had excellent reviews online. Dr. Jay immediately fit me into his schedule, although I was a new patient. I didn’t have to wait when I got there; Dr. Jay brought me back right when I hobbled in. Prior to this visit, I’d never gotten adjusted regularly. After Dr. Jay adjusted me, I was able to walk out of his office and my intense pain was significantly alleviated. I have since seen the doctor three consecutive times, and I’ve booked my appointments for the rest of the year! I’ve become a regular!!! The most important point is that after each visit, I feel better and am able to stand taller and function more properly, and I have Dr. Jay to thank for this!" I believe that your holistic philosophy, empathy, expertise, and high level of uncompromising integrity all contribute toward the unique and superior quality of care you provide to me, as well as the rest of your patients. 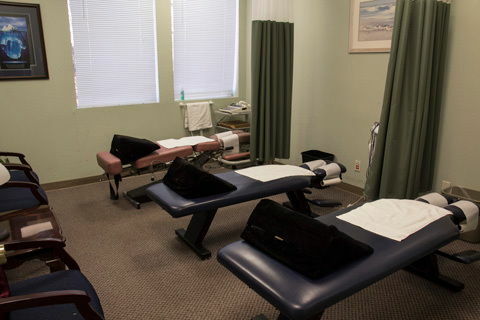 I also deeply appreciate all the different approaches and therapies you include in your treatment process in order to provide optimal relief and healing. I know I have often kidded you, but I want you to know that I very sincerely mean it when I tell you that you are the “Nordstroms” of Chiropractors. I consider myself very fortunate to have found you. And I am especially glad you are younger than I am, because I intend to keep coming to you for routine health maintenance for the rest of my life." I injured my lower back two years ago and was sent to the Kaiser Occupational Medical clinic where I was given traction, exercises, and anti-inflammatory, pain-killing and muscle relaxant drugs. After a few months they pronounced me cured and stopped treatment. My toes were still numb and I had thigh, calf, and foot cramps many times every night. Also, I often had to assist my leg into the car and had to sit to put on pants. Fortunately, I re-injured my back carrying heavy boxes. My employer sent me back to the same clinic. I told the doctors that their method had not really fixed my back and that I would like to be sent to a chiropractor. They tried to dissuade me with “re-injury” and “too much time since…” talk, but I was finally allowed to visit a chiropractor. Since coming to Dr. Ebadat , my pain is minimal, my muscles cramp only infrequently and whenever I can’t lift my leg, all I need is an adjustment and I’m back to normal." How can I ever thank you enough for all you have done? As you know, I was involved in an auto accident with a bus. I experienced may symptoms, especially in the neck region. After care under my primary care physician, and physical therapy, I was still suffering with a great deal of neck pain and other symptoms involving my shoulder, arm and face. My condition progressed to the point that I even having difficulty holding my coffee mug. Upon being under your chiropractic care and treatments, a number of my symptoms have disappeared, diminished and improvement of my overall being has transpired. 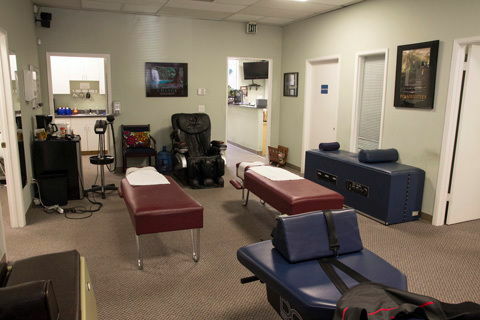 It’s amazing to experience the immediate results and relief after an adjustment. Your treatments have given me great relief, without the traditional medical care of pain killers, surgery and their side effects."